Before you purchase any futon, please take the time to investigate a little more. 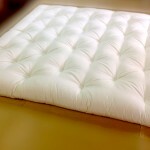 Our Japanese futon are made in Kochi, Japan in a factory owned and operated by a true futon master, Master Ikeuchi. He has been making futon for over 50 years. Of course he doesn't make every futon, these days, but his son and son-in-law (who he personally trained for decades) do. And if you understand Japanese craftsmanship, then you know that nothing goes out the door that Master Ikeuchi wouldn't be proud to put his name on—his reputation is everything to him! Even in Japan, there are plenty of machine-made, mass-produced cheaper futon available. Just because it says, "Made in Japan" is no guarantee of quality. However, when we say "Traditional Japanese Futon," we mean exactly that. 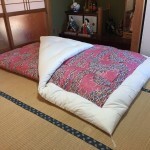 Over 50 years of experience goes into every shikibuton & kakebuton we sell on FutonBedsFromJapan.com. 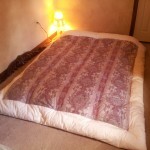 This entry was posted in futon, futonbedsfromjapan.com, Traditional Japanese Futon and tagged traditional-japanese-futon on October 27, 2015 by Y Hasegawa. I appreciated that this site had answers and information that made sense to a non-Asian audience. Some of the other sites I went to had poor customer service ratings and vague answers to people's questions. I felt more comfortable knowing that I was ordering from a company that had both local and international people working with them to present a clear picture of what I was ordering. I felt confident that it would be high quality work and was willing to order promptly once I chose which futon I wanted. I wanted a bed that was easy to air out in the sun and fit into my car! That's what this is and I was able to carry it from the pick up point with only one arm! You can't do that with a traditional mattress?! Thank, so much! 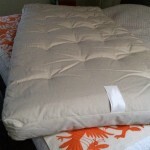 Now I don't have to sleep on air mattresses anymore! Blessings, Adora"
This entry was posted in customer service, futonbedsfromjapan.com-reviews and tagged futon-review, customer-service, futon on October 20, 2015 by Y Hasegawa. This entry was posted in futon, futon bed, futon set and tagged futon, futon-set, traditional-japanese-futon, real-japanese-futon, futon bed on October 18, 2015 by Y Hasegawa. This Futon is the Best I Ever Used! This futon is the best I ever used ! The only problem I encountered is that the width of futon is a little shorter than expected (abour 10 cm). I should have paid more attention on the dimension of futon when I placed the order. But it is still a GREAT futon. Thank you very much. This entry was posted in authentic-japanese-futon-review, futon, Traditional Japanese Futon on October 16, 2015 by Y Hasegawa.